Original Owner Custom Built Brick home by GC & Electrical Contractor on +/-4 acres . House is built w/ concrete walls 5" thick w/ 2 1/2 " insulation on each side. It has brick on the outside of the concrete. It is is very sound & energy eff. for heating & cooling. The kitchen has a Island w/ 2 pantries & White Cabinets. The Great Room has a Gas Log Fireplace & Vaulted Ceilings. The Master Suite has Two Closets, Dual Sep. Vanities, Garden Tub & Sep Shower. Basement has a 1 Car Garage that could be made Larger, Full Bath, Rec Room, Plumbed for Kitchen & High Ceilings. New 50 year warranty roof. Large Deck Overlooking the Private Yard. Unique lighting controls,8 Outdoor Receptacles, water filtration system,Pre-wired generator. 2 Hot & Cold water anti-freeze ext faucets. 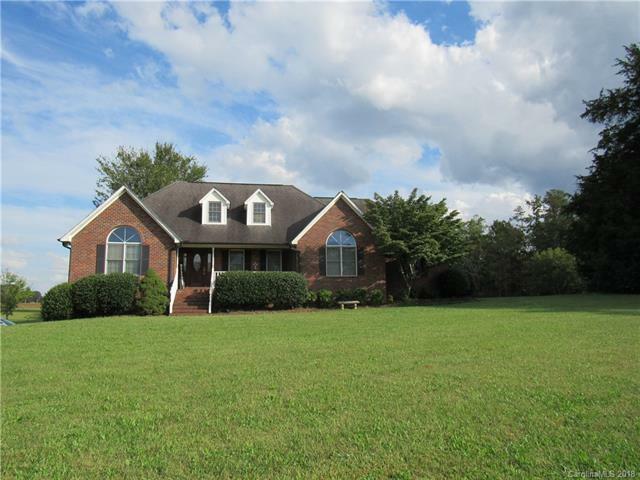 Located right off Hwy 152, Easy access to I-85, I-77. Only 8 Min to Mooresville, 8 Min from Kannapolis Research Center, 30 min to Charlotte. Great location for Race Shop or Horses. Duplicate Listing 3439199 w/1.88acres.